Imagine, 10 hours on an airplane! 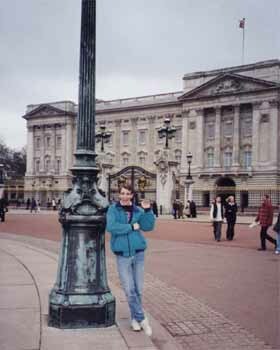 Here are some scenes from my March 2000 trip to London and southern England. It was fun to become a piece of eurotrash for a tad-bit, the best part was they still spoke english over there (although they have added a few additional words to the language - anybody know what a "bird" is?). See what I mean about that language thing, to me the word "hump" has a totally different meaning. 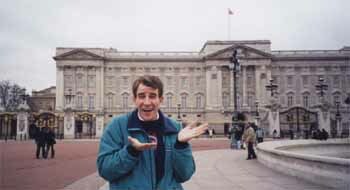 Me in front of Buckingham Palace... (No, I didn't get invited in for tea with the queen). 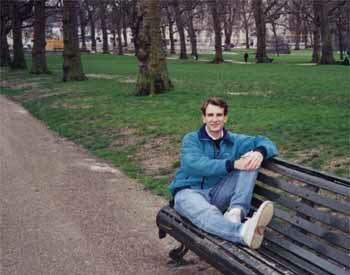 Me enjoying a relaxing afternoon in Green Park. A big clock which they call "Ben"! 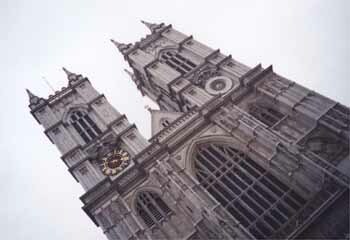 Westminster Addy... (Lots of famous dead people are buried here). 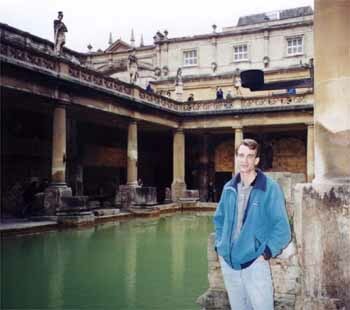 The Roman bathhouse in Bath... (Yes the water was that green, and no I didn't go swimming in it). 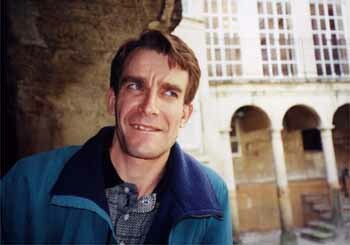 Me thinking about something while in Bath... (Must have been the lack of half-naked women sunbathing around the pool). 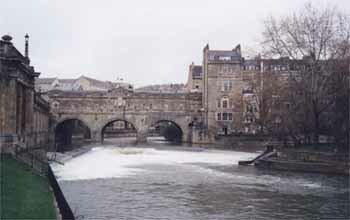 River Avon flowing through Bath. 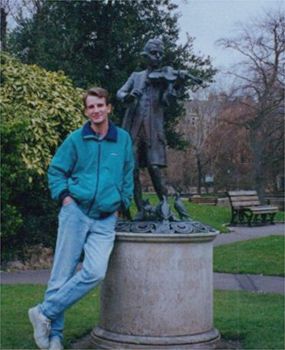 Mozart and I hanging out in a park in Bath. 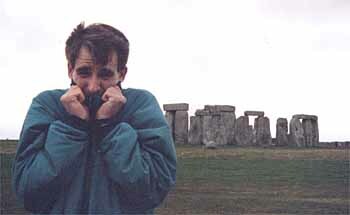 A pile of rocks in the middle of nowhere called Stonehenge. Lets just say it was a tad-bit windy while I was visiting Stonehenge... (And March isn't the warmest time of year in England ya know). 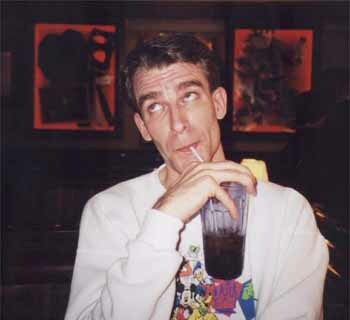 Me enjoying an overpriced soda at the Hardrock Cafe. 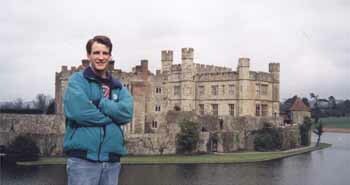 Me hanging out in front of Leeds Castle. 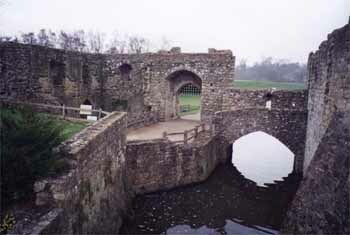 An older part of Leeds Castle that was kinda 'kewl'. 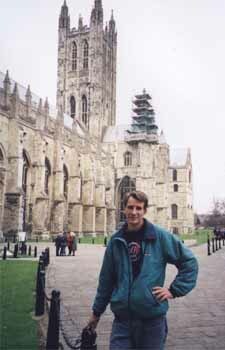 Me loitering in front of the Cathedral in Canterbury. 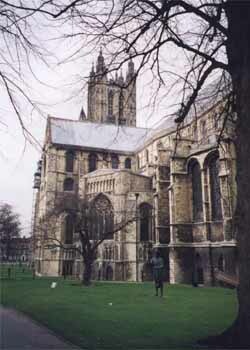 Another view of the Cathedral in Canterbury... (A pretty old place when you consider it was built a couple of hundred years before Columbus discovered America). 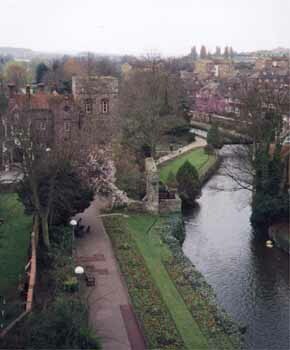 A park in Canterbury as seen from the top of one of the Roman gates in the walls that surrounded the town. The English Channel and the White Cliffs of Dover. 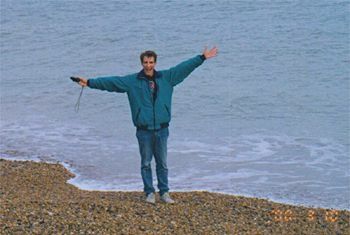 Me just before I got my foot wet in the English Channel by a sneaky wave. 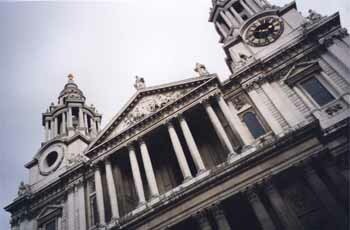 Saint Paul's Cathedral in London... (Another one of those very old building they have over there). 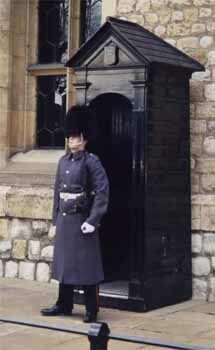 A bloke guarding the Crown Jewels at the Tower of London. 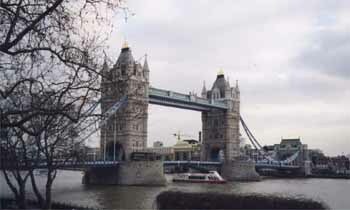 Tower Bridge over the Thames River in central London... (BTW the more famous London Bridge is now in Arizona). 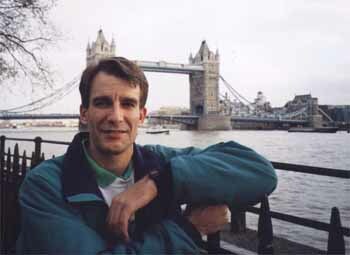 Me trying to look like a stud in front of Tower Bridge. 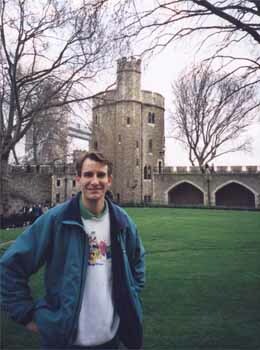 Me in front of the Tower of London... (Actually there are 20 some towers that make up the Tower of London area)... 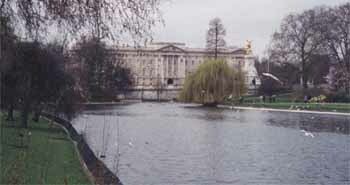 This is where all the bad people got beheaded back when they still did that kind of thing. 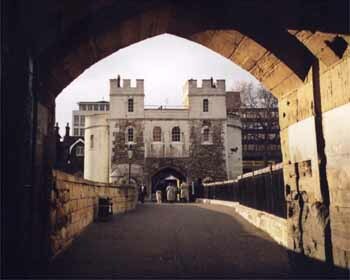 Entrance to the Tower of London. 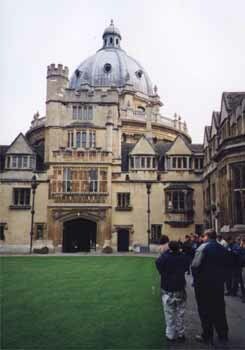 One of the colleges at Oxford University. 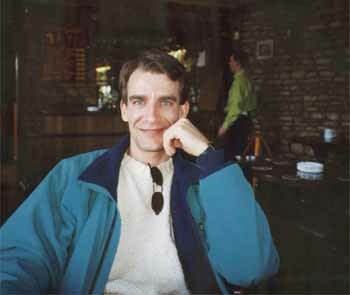 Me hanging out in a 'pub'... (That's what they call bars over there). 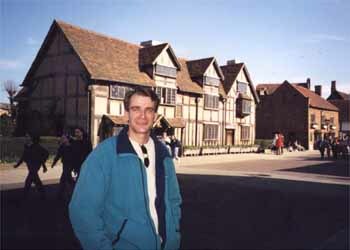 Me again, this time in front of William Shakespeare's birthplace in Stratford Upon Avon. Enough pictures of me aready! 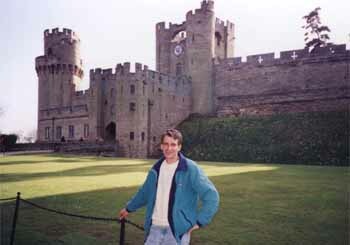 This time at Warwick Castle. 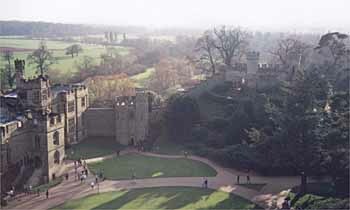 Another scene of Warwick Castle from the interior courtyard. 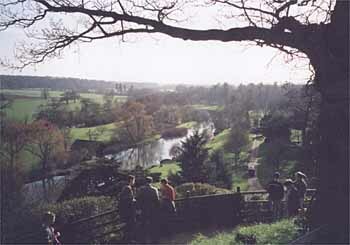 The gardens at Warkwick Castle... (How would you like to have to mow all that greenery?). Warkwick Castle again... (I shot lots of pictures of this place cause its one of those castles that actually looks like what you think a castle would look like). 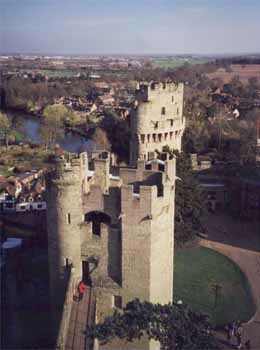 A shot of the walls and towers around Warwick Castle.